You can rollerblade in Stanley Park. 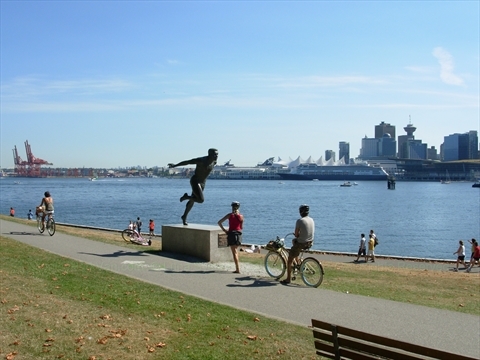 Rollerbladers, along with skateboarders, are treated the same as bicyclist and need to use the bicycle path on the seawall. This path is one way, counter-clockwise, around the park. Most of the bicycle rental shops also rent rollerblades...check out our: Bicycle Rentals page for more info.